To end his piece, Bromwich quotes Gandhi’s idea (in 1938) that a non-violent civil disobedience campaign by German Jews could have defeated Nazi anti-Semitism. In retrospect, is it possible for any intelligent person to believe this? Of course, some people will force themselves to believe for religious reasons, although I suspect that most would rapidly change their minds if they saw their own child killed, their own home bombed. When such things happen to you and your family, the issues become more urgent. 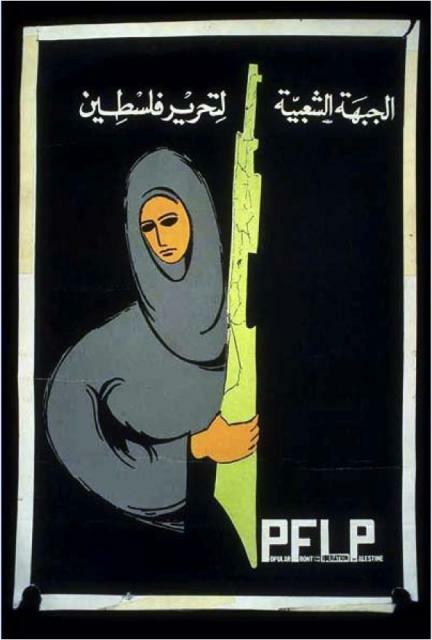 I didn’t realize that Ghassan Kanafani produced visual art! Where have I been? And I think Bono would look very nice with a big red nose, a multicolored wig, and floppy shoes. Obama thinks people in South Asia won their freedom peacefully? The Viet Namese only kicked out the French after crushing them at Dien Bien Phu, the Americans faced the same fate. The Japanese were also only defeated by resistance. I don’t think Obama is ignorant of what he is saying ya Qunfuz, I think this man knows exactly what he is saying and he wants the Palestinians to surrender, so he uses the language appropriate for that surrender. and I agree, mlynx. a lot better than he looks without them.